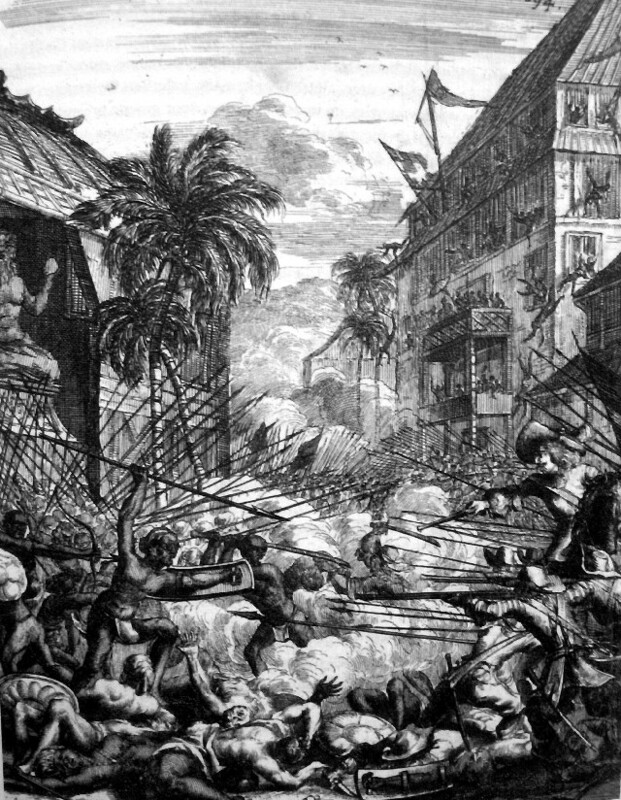 Impression from Wouter Schoutens travel account of the battle which took place in the old city of Cochin, 1st of February 1660, during the first siege of Cochin. The Cochinese royal family was massacred in this action, and the VOC installed a leader on the throne which was more sympathetic to their cause. Categories: Cochin, Malabar, Schouten, Goens.